Only Censored for ETSY, Actual Wallet Shows that SHIZ. -- Bi-fold Genuine Soft Leather Wallet with 6-Slots for credit cards. -- One clear plastic slot for an id card, and two separate slots for CA$H. -- Zippered Coin or Nug Stash Section in the middle. This is a LIMITED EDITION: "SexyPimp" Version with Branded Heat-Sensitive Tag (Apply it yourself, if you want) so you know it's FRESH. 100% Genuine Leather and High Quality Embroidery. 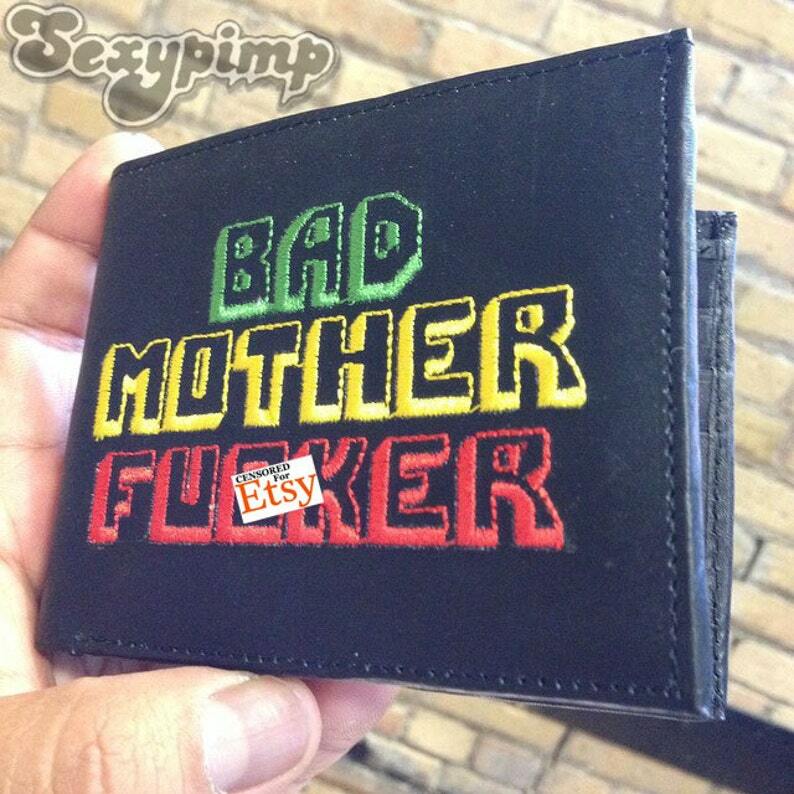 Don't Settle for Anything less but the BEST QUALITY Bad Mother F*cker Wallet. An Original BMF Brand® Wallet.